The City of Cusco has a large number of Museums that show evidence of the different cultures that were welcomed in this city; Among them the most important in South America the Inca Culture that had as its capital the City of Cusco, thus leaving a historical and cultural legacy that can be contemplated and experienced by own and visitors. 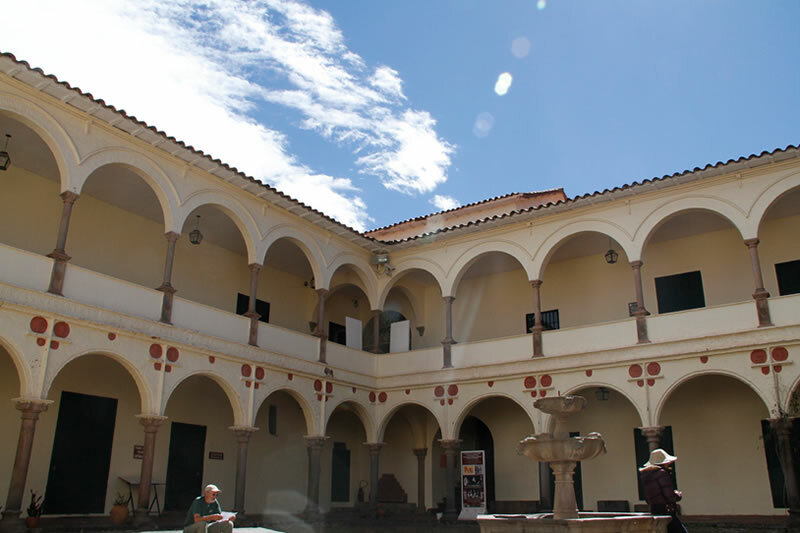 It is known as the Archaeological Museum of Cusco, and has remains, objects and artifacts of the Inca Civilization, dating back to the time of the Spanish conquest. It has many archaeological treasures among which are ceramics, textiles, jewelry, skulls and a unique collection of Inca vessels. And as in most museums where ancient remains are exposed, photos are not allowed, but there is no problem, surely what you will see will remain engraved in your memory. Address: Cuesta del Almirante Nº 103, Cusco. Built at the beginning of the 17th century, it is a monastery built on the ruins of the Acllawasi, known as the “house of the chosen girls” or the “house of the virgins of the sun”. This beautiful convent will not only surprise you by its architecture, but it contains an astonishing collection of Andean art and cuzqueño art exhibits. A guided tour will give you a more complete picture of the history of the museum and the objects it houses. Address: Street Santa Catalina Angosta Nº 401, Cusco. Beautiful convent that was rebuilt in 1680 after an earthquake, has beautiful murals with representations of the life of San Pedro Nolasco, founder of the Order Mercedaria, also houses a small museum of religious art, which holds an incredible solid gold covered with stones Precious, priceless. Address: Street Mantas Nº 121, Cusco. It is a museum of religious art in an old house, which was owned by the archbishop of Cusco, is located in a pedestrian alley with Inca stonework. This museum exhibits a collection of paintings from the time of the colony, nevertheless its true attraction is the house that houses the museum. The old house has an impressive Moorish architecture and a small chapel. Address: Between Hatunrumiyoq Street and Los Herrajes Street, Cusco. It is the most important temple in times of the Inca civilization, known as the Temple of the Sun, Qoricancha in Quechua means the gold courtyard and this is because before the invasion of the Spanish, throughout the temple you could find gold statues Full-size, a huge gold solar disk, gold altars, and massive gold panels that covered the walls. The Incas worshiped the Sun, and when it illuminated the Qoricancha the reflection represented the golden glory. At the time of the conquest, all gold was taken from the temple, it is an archaeological site worth visiting during your stay in Cusco. Address: Av. El Sol s / n Basement esplanade of Coricancha, Cusco. It is a museum of modern art, located in the Plaza Regocijo, contains paintings and sculptures of modern art, as well as canvases and contemporary crafts, on the second floor you can enjoy works of painters Cusco from the twentieth century. Address: City Hall – Plazoleta Regocijo, Cusco. This museum exhibits objects such as musical instruments, pottery and agricultural tools from pre-Inca times. You can also see coins, art, metal works and paintings from the colonial period. It is one of the few places that will allow you to appreciate many historical artifacts, making it one of the most visited by travelers. Address: Street Heladeros s/n, House Garcilaso, Cusco. Built on the foundations of the palace of Wiracocha, it is the most magnificent cathedral of the city of Cusco. Its construction began in the year 1550 and was completed 100 years later, it is the main attraction of the Cusco Plaza de Armas, and an unforgettable experience for those who enjoy the religious circuits, is a very popular attraction in the city of Cusco due to its fantastic architecture and the art inside. If you pay attention you will see some subtle details that the Incas incorporated, of their own religion. This museum is located in the cabildo house of the colonial period, it houses paintings, furniture, objects and furniture from the 17th and 18th centuries. Address: Square of San Jerónimo, House Cabildo, San Jerónimo. This museum houses more than 2,000 pieces chosen from the Santurantikuy Christmas fairs that have been held in December every year since 1937. These 2,000 pieces are classified in the branches of imagery, handicrafts, textiles, silverware, ceramics, ceramics, All of them created by the hands of Cusco artists. Masks, children Manuelitos (representation of Jesus in Andean births), the grotesque sculptures of Edilberto Mérida, this artist expresses in the faces of his sculptures the pain of an oppressed people. Address: Avenue El Sol Nº 103, Tourist Galleries, Cusco. This museum located in Av. Sol, will allow you to appreciate the steps of the manufacture of textiles in Peru, from obtaining the raw material of alpacas, to the end of a beautifully decorated poncho. Information in Spanish and English of many of the examples being exhibited. It is complemented by a shop where you can find traditional textiles; And if you’re lucky you might see one of the Peruvian women, weave in the store. Address: Avenue El Sol Nº 603, Cusco. Museum located in a viceregal house known as the Cabrera House, remodeled to house the first and only Peruvian museum dedicated to the art of ancient cultures of Peru. In this historical monument are preserved from segments of Inca walls, to balconies of the republican era. The museum is divided into 10 thematic rooms where utensils, gold jewelry, bones and shells dating from the formative period of the Nazca, Mochica, Huari, Chimú, Chancay and Inca cultures are exhibited. 450 works of art ranging from 1250 to 1532, selected from the 45,000 objects belonging to the Larco Museum of Lima. Address: Square of the Nazarenas Nº 231, Cusco.